As part of a community initiative for the town of Banagher, the inaugural That Beats Banagher Festival will be held this year from 9th to 12th July. 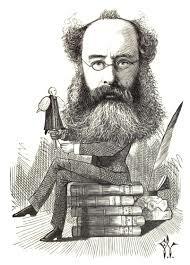 The initial focus of the festival will be the town’s association with the writer Anthony Trollope (1815 -1882) whose bicentenary occurs in 2015. Trollope resided here for three years during which time his life was transformed from one of abject despair in London to that of a confident and sociable member of local society in West Offaly. It is also fully accepted among his biographers that the initial inspiration for his literary career came during this period. Banagher in the time of Trollope (1841 – 44) will be the focus of the events planned for that weekend; a celebration of his time spent in Banagher, his work with the Post Office and his voluminous literary output. The town will take a step back in time with events such as building a miniature post boxes, workshops in traditional skills of the time, readings, Victorian market with afternoon tea in period dress and much more.